Polystyrene particle insulation mortar pump is used to mix composite resin power, fine calcium power, polypropylene staple fiber and cement etc. Quantity of water in the mix is as per the thermal convection properties required and to get a strong bond between the ingredients. The cost of this composite insulation product is low and can meet the requirements for saving energy. It is suitable for insulation of all types of exterior walls. The mortar is usually mixed on the ground floor and transported up using in the lift or tower crane. Pumping by the pump will take long time and the construction speed is affected due to low pumping capacity. The speed cannot be increased since the viscosity of the mortar is high and it has strong adhesion and cannot flow easily. The mortar cannot be pumped by any slurry or concrete pump. As per clients requirement we can also develop polystyrene for mortar pump (transfer and spray). 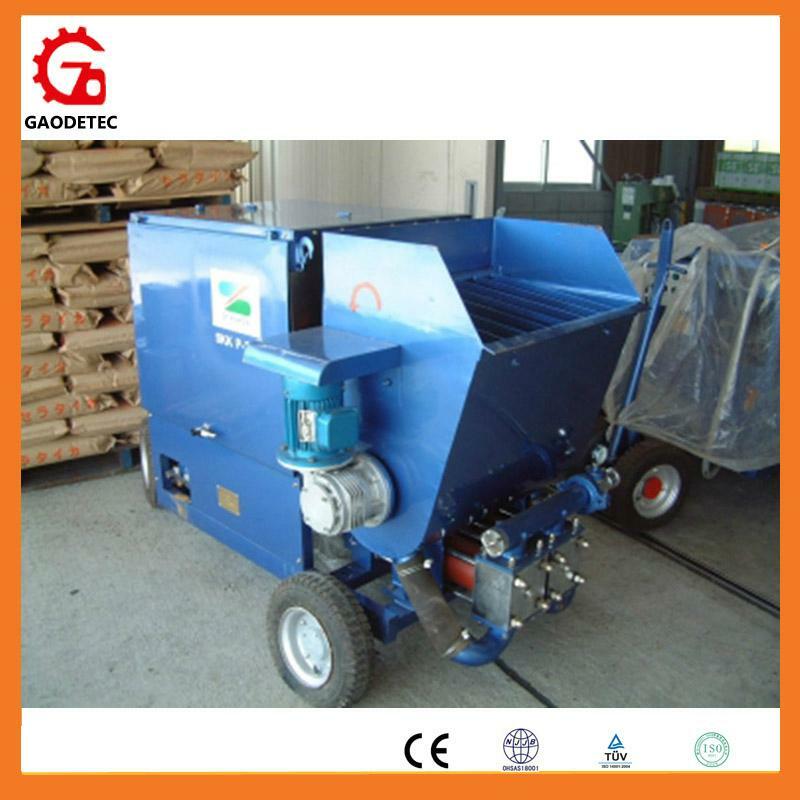 The pump can also be used for conveying foam concrete. 1. This pump is double cylinder hydraulic piston pump. It can meet the requirements of transport and also ensure the continuity when spraying. 2. The cylinder has large diameter and long stroke. This will avoid thick EPS suction into the cylinder. 4. Stirring blade in the hopper, this can prevent mortar deposited and also help cylinder suction material. 5. The cylinder is hydraulic drive. This can ensure the smooth and continuously working. During the plugging time, it can also automatically protect the mechanical and piping systems. 6. The output (0～100L/min) and pressure (0～6Mpa) is infinitely adjustable. When during spraying operations, it is quite convenient especially for spraying ordinary mortar. 7. It is equipped with a special design spray nozzle for powder polystyrene particles insulation mortar. This makes spraying operations more smoothly, continuous, effectively reduce the rebound. 8. Lower cost, energy saving, popular and applied for all kinds of exterior wall insulation construction.